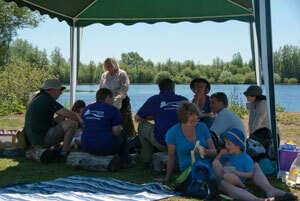 A selection of photographs taken of the first Family Day event, organised by the Northmoor Trust, at Thrupp Lake. 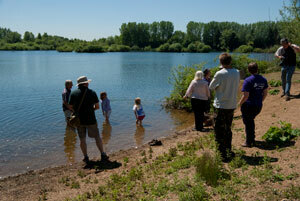 The first community family event at Thrupp Lake organised by the Northmoor Trust was held on Thursday 3rd June. This was a small scale event aimed at children and families and local people generally, targeting those who have hitherto not become involved in the ongoing clearance and conservation work. It was an opportunity for everyone to come and simply enjoy an hour or so, or the whole day, in beautiful surroundings, observing the wildlife, or simply enjoying the glorious sunshine. 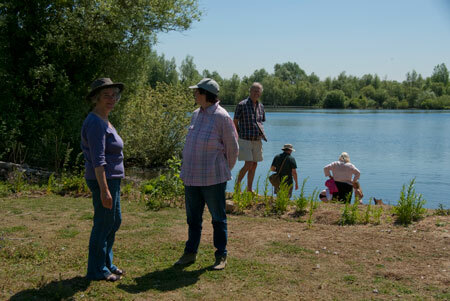 About 40 visitors attended the event and engaged in general exploration, bird watching, and pond dipping under the supervision of naturalists from the Northmoor Trust, as well as paddling in the very inviting cool water at the edge of the lake. Refreshments were provided courtesy of the Northmoor Trust, and everyone who came enjoyed their visit. 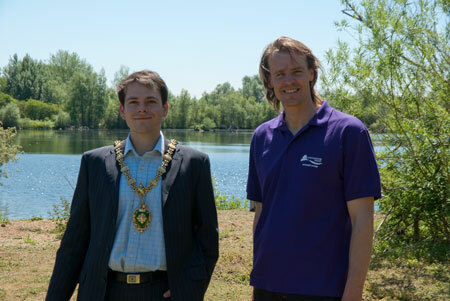 The event was attended by Harry Barton, CEO of the Northmoor Trust, and Duncan Brown, Mayor of Abingdon (in his official regalia). 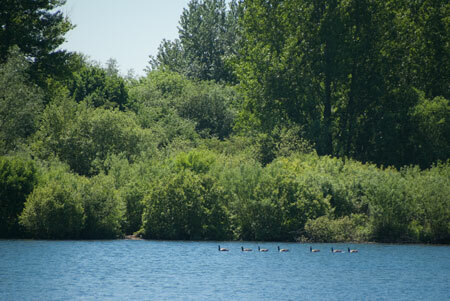 with Thrupp Lake in the background. 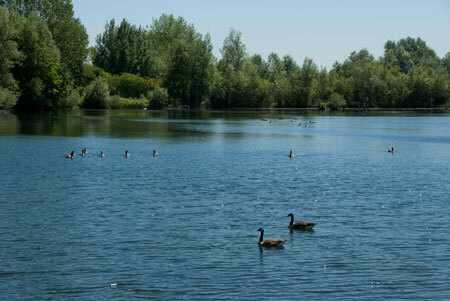 A flotilla of canada geese making their way across the lake in the distance. Picnic in the shade of the gazebo. 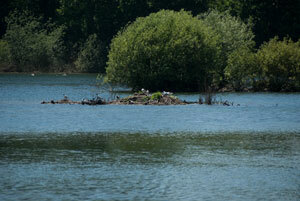 An island in the lake, upon which black-headed gulls and common terns appear to be nesting in the company of a family of cormorants. 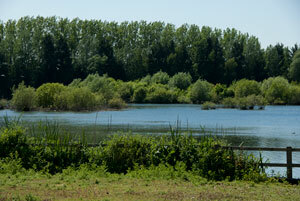 Thrupp Lake from Sandles’ garden. Lakeside revelry on the beach. The children were enthralled by the creatures they found in the water during pond dipping, particularly the water scorpion and damselfly larvae, and by the damselflies themselves emerging from their aquatic larval state into shimmering delicate adulthood instantly able to fly with a grace and adeptness matched by few other creatures. The children also enjoyed hunting for bugs under logs in the wooded areas. 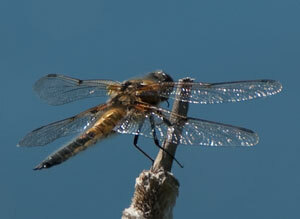 It is to be hoped that these encounters at Thrupp Lake will spark a lifelong interest in natural history. Various unidentified caddis fly larvae. If you were present at this event and observed anything else of note, please contact us.